I've always had a thing for fun sheets and pillowcases. 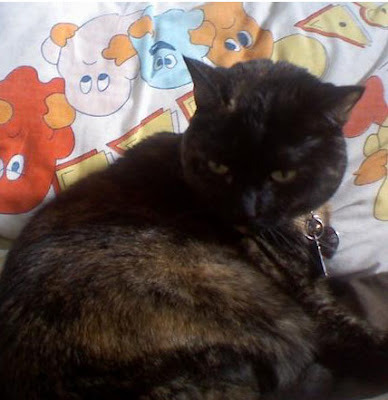 Right now you will find a Skurvy/Paul Frank, Hello Kitty and Pac-Man pillow atop our bed. When we first moved in together, we had a full sized bed. It was easy to find Hello Kitty sheets at Target to accommodate our bed back then. However, when we switched to a Queen, it's been boring sheets with very little character. I know I can get fun prints and polka dots, but I love my characters. Luckily I can still spice up our bedding with fun pillowcases. 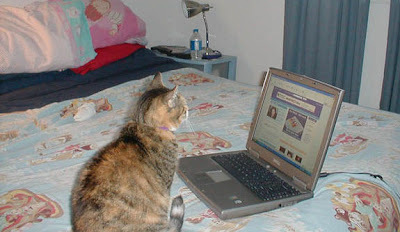 I believe you're never too old to take part in youthful bed and bath items. My husband doesn't seem to mind our Hello Kitty shower curtain and Ziploc type bags. 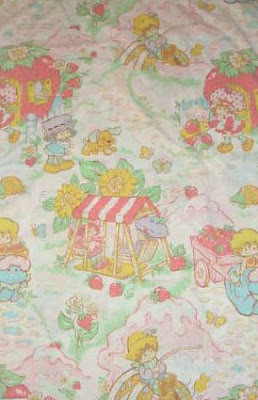 Target released newer versions of Strawberry Shortcake as she made a successful comeback over the past few years. I prefer the original pictured here. 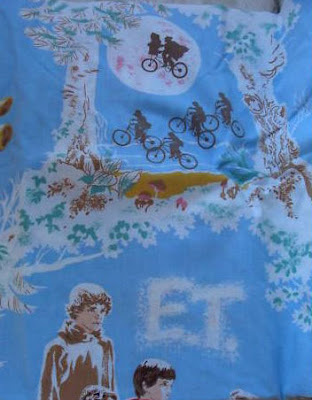 My most favorite movie and treasured bedding featured the lovable alien and Elliot in various scenes from the movie. We used the ET sleeping bag until recently - it was so badly torn, I had to trash it. I still have the flat sheet and a pillowcase though. In addition to ET, I was a big-time fan of The Smurfs. I had several Smurf lunchboxes (who didn't in the '80s?) and especially adored my Smurf sheets. 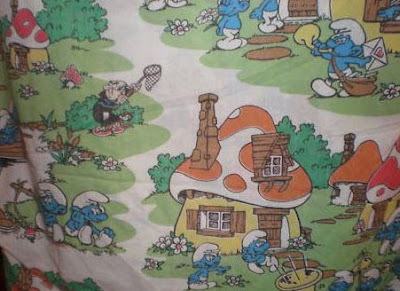 My aunt still has my cousin's Smurf sheets which is sure to come in handy for my cousin's child, seeing as the Smurfs have made a comeback and have an entire line of toys out for today's kids to enjoy. My husband and I are serious Pac-Man and Ms. Pac-Man fans. When we first met, we discovered we had a common bond of loving the old '80s video game. This made selecting a wedding cake topper pretty damn easy. 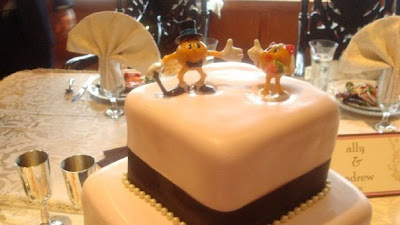 We went with Pac-Man groom and Ms. Pac-Man bride figurines. 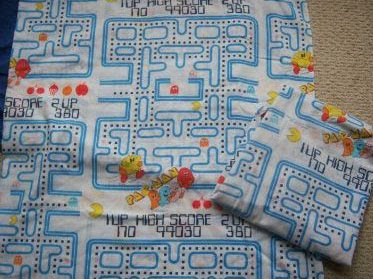 He loves his old Pac-Man pillow case (as does our kitty, see image below) and we still have a vintage trash can we use for recyclables in the kitchen. Our cat, Chawklit relaxing against her favorite pillow. Interesting! These are all also my childhood favourites even till now!